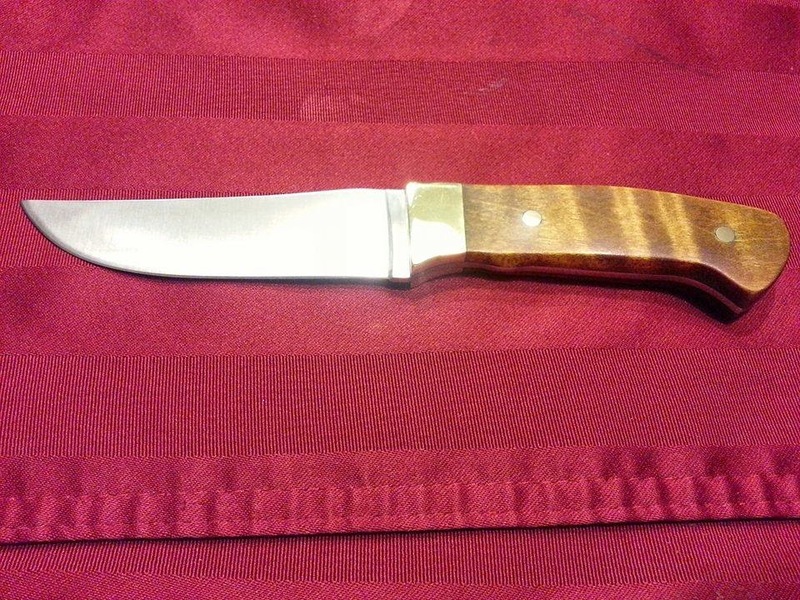 This is Paul Jensen's knife made from 5160 and kings wood with filework along the spine. Styled around the CP19 clip point and acid etched it turned out awesome! 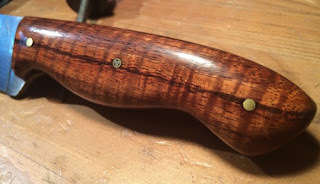 Steven made this great looking from 1080C and Ironwood. I really like the spine grind. 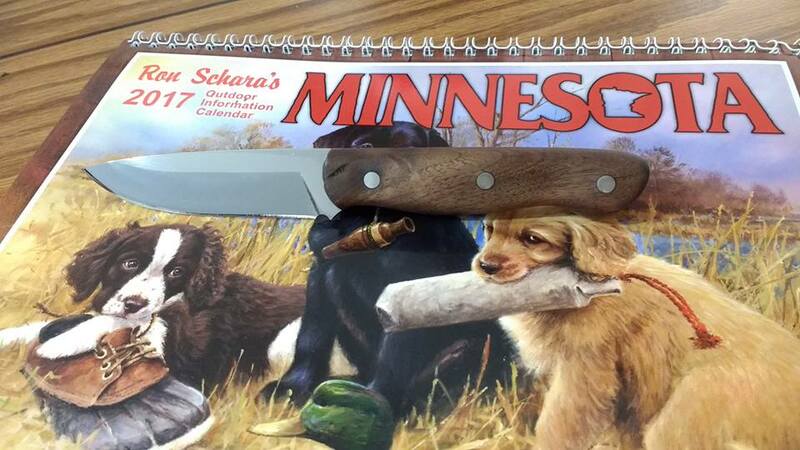 Great job on the sheath too. Thanks for sending the photo! 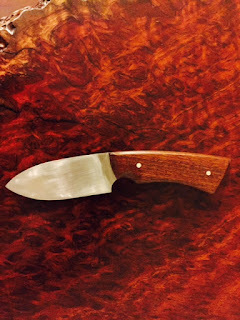 This is Justin's bushcraft knife he made for his father for Christmas 2016. Based on the BC3 template and ground from an old Nicholson file. 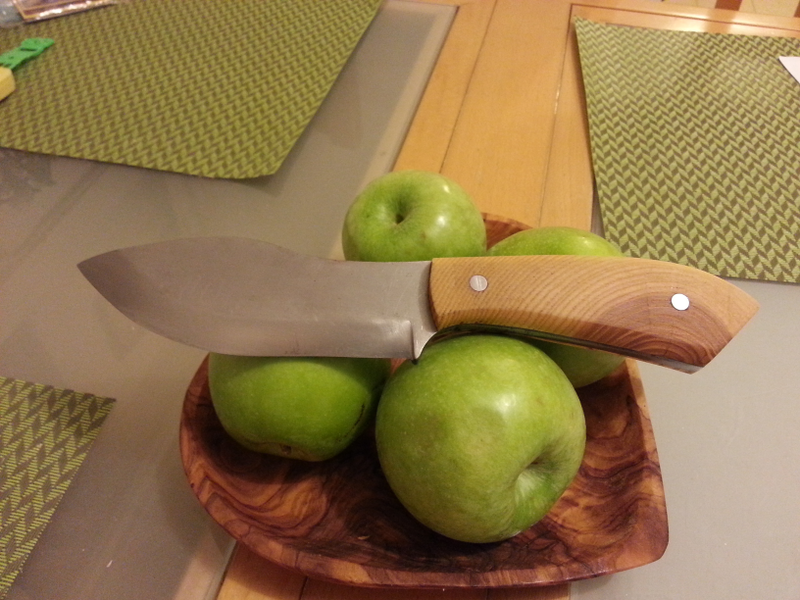 It's fitted with walnut scales and stainless pins. Looking nicely sculpted and very sharp. I know your Dad will love it. Check out this beauty by Evandro from Brazil. Styled around the DH41 and made from 5160 steel and a Gonçalo Alves handle. Mated with an exceptional sheath it truly is a well crafted pair. 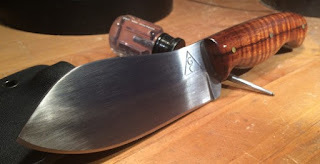 This is Gabe's nessmuk made from 1084 and koa with brass and mosaic pins. I love this knife! Great job! 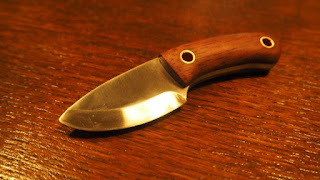 Nathan sent in a photo if his fourth knife, which is a modified DH15 to make it a hidden tang. 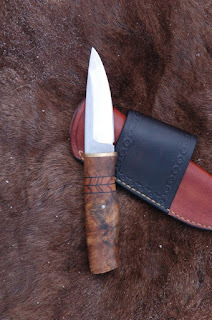 The choice of materials and sheath are excellent. Nice work. 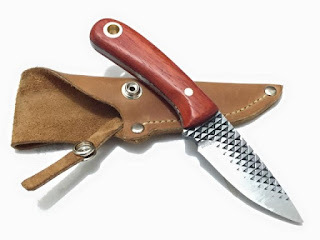 Anders from Idaho made this knife from a farrier's rasp and the scales are nicely shaped padauk. The sheath is pretty smart looking too. Great job. 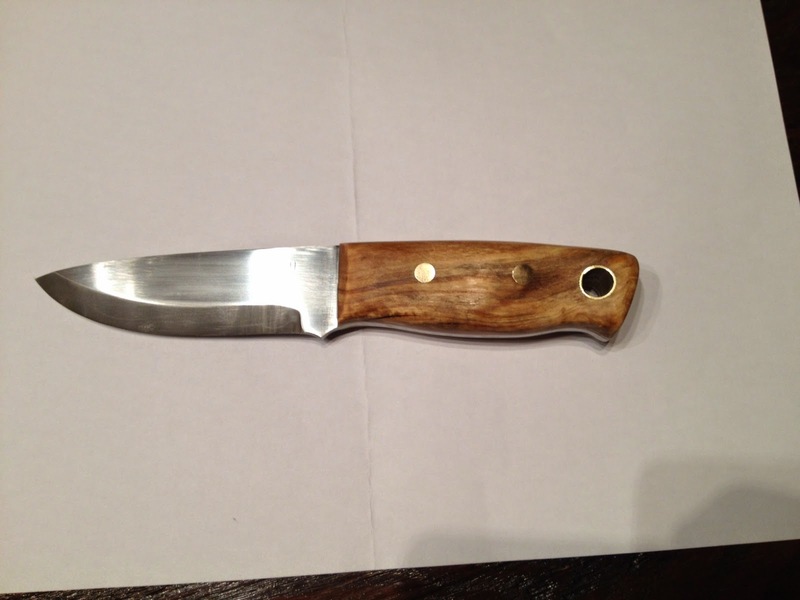 Aaron from Australian emailed this photo of his first knife made from 1/8" 1084 steel and Australian forest oak. Love the shape. It turned out great mate! Another first! Cameron sent this photo of a KN11 modified kitchen knife he made with old black walnut scales. The handle is looking very sleek and friendly to hold. 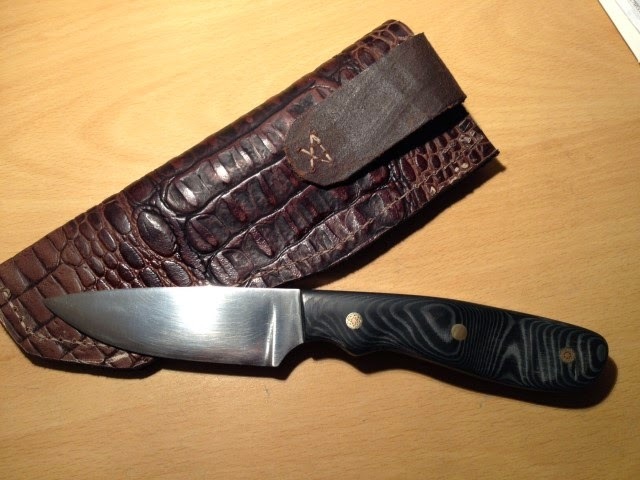 Gader from Italy made this based on the DP16 pattern. His first knife from 5mm C70 stock, walnut scales and brass pins. It shows excellent craftsmanship. Great work! Colin sent me this photo of this knife he made from O1 tool steel, African Blackwood and brass bolster. It's based on the KR1 pattern and looks pretty smart. Bolsters are never easy and these look very good. Great job Colin! 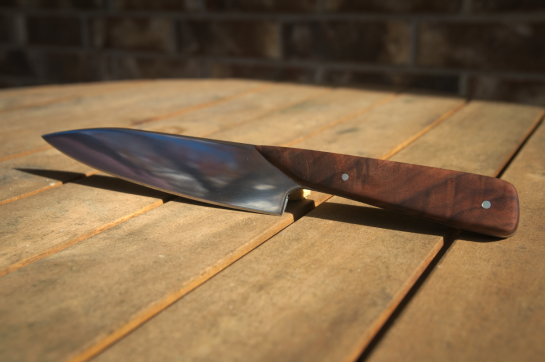 This is Jonathan's second knife made from 1095 steel with orange G10 scales based on the DH9 pattern. He heat treated the blade himself with a charcoal forge. Very cool! This nice little Nessmuk was made by Dan. I think this looks super for a his first knife. Good job. Robbin sent this photo of a small DS1 neck knife made from O2 and azobe scales. 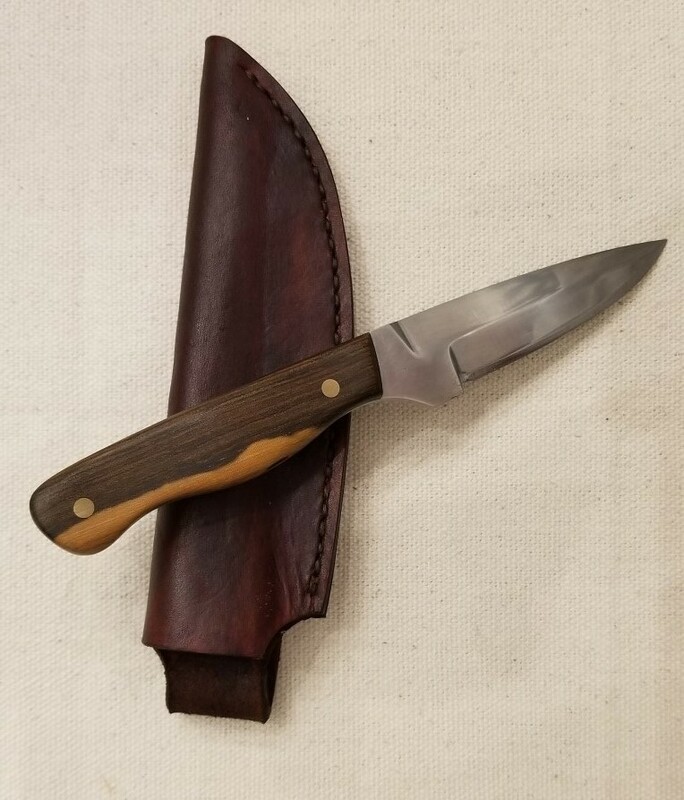 Awesome work for your second knife. 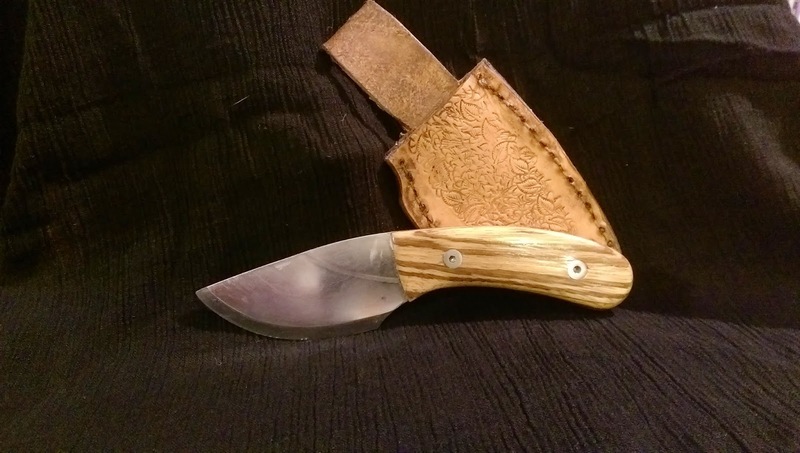 This good looking knife was made by Zac from a DH13 pattern. 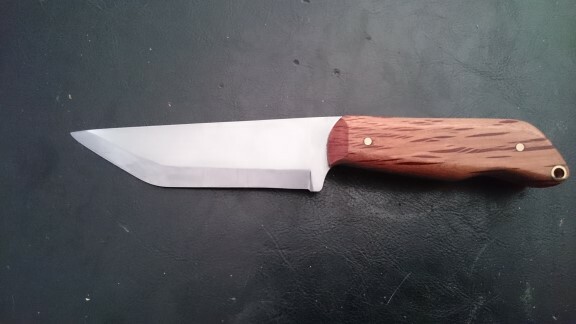 It's made a 1084 and has jarrah scales and stainless steel pins. Here is a hidden tang version of a KR1 done nicely by Jaap. Love the contrasting colors in the handle. Good work! This is another one from Jaap. 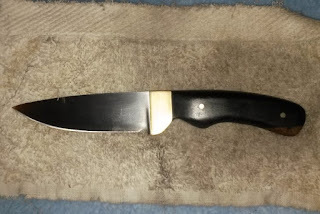 Made from a DH44 with Micarta handle and great looking sheath. Nice work man! This is a DH9 from Erik. 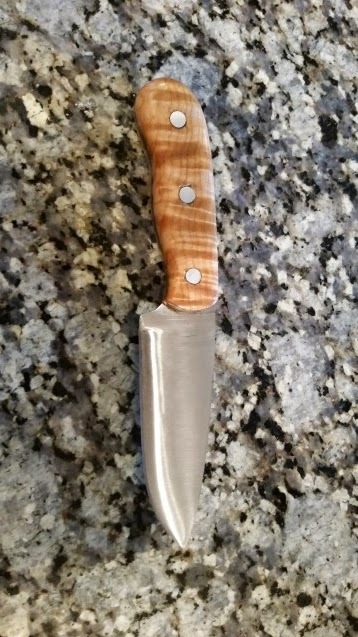 It's made from O1 and has curly maple scales and aluminum pins. 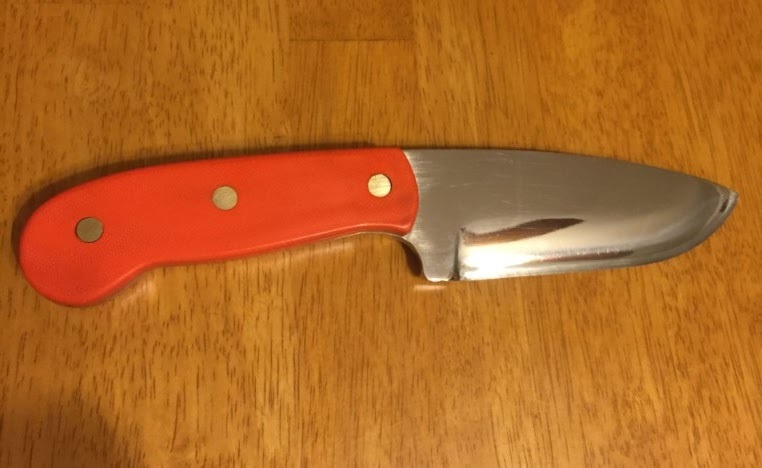 Great job for your first knife! This bushcraft knife was made by Jaap from the Netherlands. 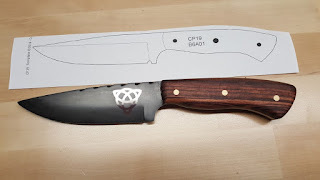 It looks like it's based on the BC2 and for his first knife, I'd say "great job!" Thanks for sending the picture. 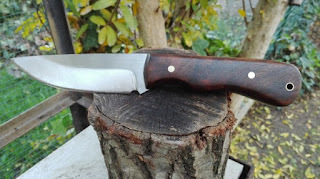 This is a photo from Dave of his first knife made from a modified DH15 pattern with red mallee scales. Looking very sleek and useful. 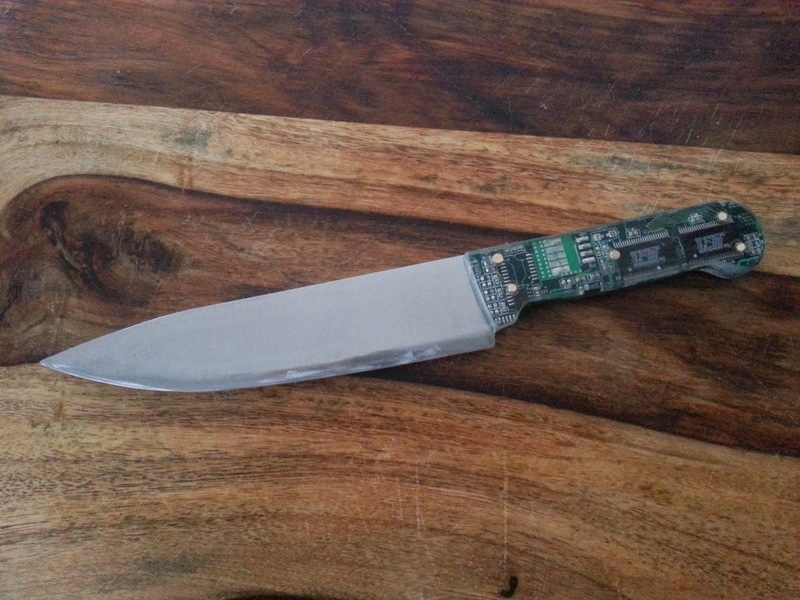 Patrick sent this photo of his knife he made of tweaked DS1 skinner. 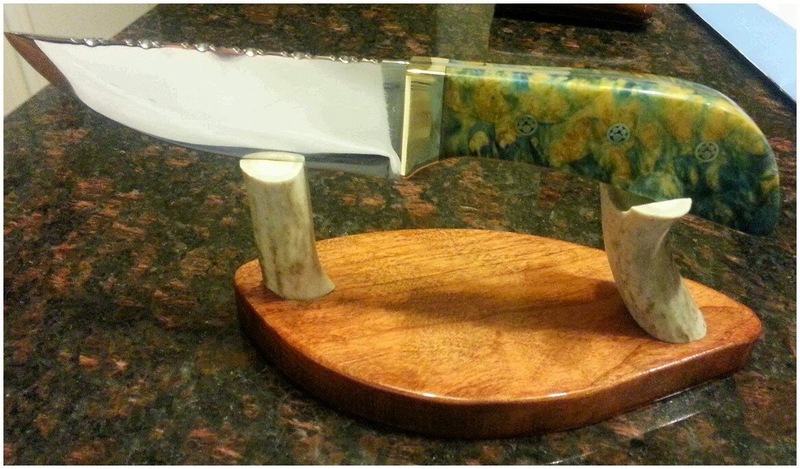 Fashioned from an old saw blade. Great work! 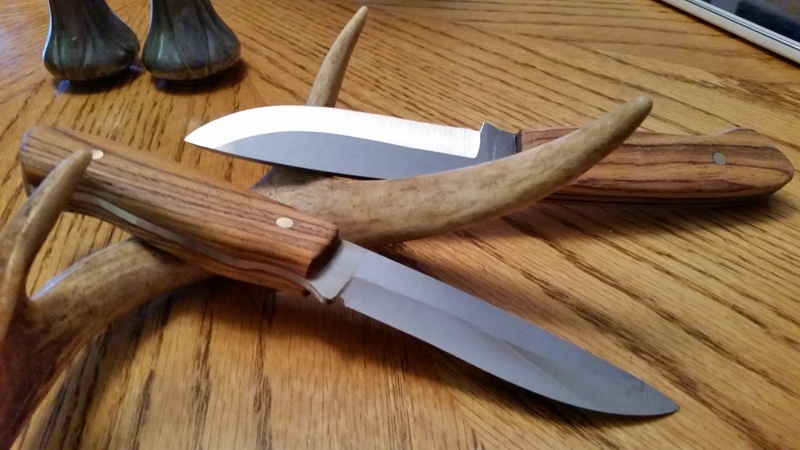 Steve sent this photo of two knives made from a DH12 pattern of O1 steel and cocobolo. Some good looking grind lines. This is Gabe's knife made from a DH9 pattern of 1084 steel with padauk scales. This is Asmon's creation. It has a circuit board for the scales. 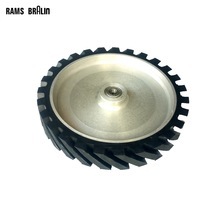 It's made from O1 steel and features a video card cast in epoxy. Very cool idea. I don't have too much info on these other than they are from Anthony in the U.S.A. Beautiful work! These two beauties were created by Brian who is just getting started, but his works shows signs of a skilled and patient maker.